It has been a long couple of weeks....many great things happening but I flew almost 5000 miles in 24 hours. In a middle seat. With no cocktails. But this weekend is going to be fabulous and I am kicking it off with a little elixir so delicious I have to share. Take a sip of this and you too will make it your new summer cocktail. For those unfamiliar with Ginger Beer, it is not the same as Ginger Ale and it is not the Ginger Beer of yesteryear that actually contained alcohol. Ginger Beer commercially produced in the US does not contain alcohol. This drink will be just as delicious without vodka for my non-drinking compadres. Have a fantastic weekend and lets enjoy this OH SO HAPPY hour. Favorite meal of day: breakfast. I usually eat one of three meals: Cottage cheese and oatmeal, Greek yogurt and fruit, or protein shakes. But I love making fabulous breakfast meals and the request du jour was waffles. 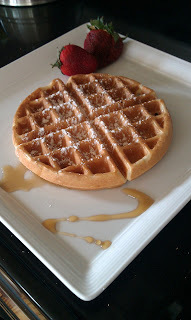 I use a fabulous recipe for Ricotta Waffles borrowed from my new friend Giada de Laurentiis (more on that story to come.) If you are looking for an easy and delicious option for you and those you love this morning, you will love this recipe. This makes about 6 large waffles. You can easily cut the recipe in half. From my kitchen to yours, enjoy every bite. Stir 1/3 cup of water and sugar in a small saucepan over medium heat until the sugar dissolves, about 5 minutes. Stir in the honey. Set aside and keep the honey syrup warm. Using a rubber spatula, stir the remaining 1 2/3 cups of water and vanilla in a large bowl. Add the pancake mix and stir just until moistened but still lumpy. Stir in the ricotta into the pancake mixture, then stir gently to incorporate the ricotta but maintain a lumpy batter. Fold in the blueberries. Heat a griddle over medium heat. Brush with the melted butter. Working in batches, spoon 1/4 cup of batter onto the griddle for each pancake. Cook until golden brown, about 3 minutes per side. Serve with the honey syrup. (And if you have a selective 5 year old, think twice about putting the strawberries on the plate. He let me know he "does not prefer strawberries on his waffle plate." Hilarious. You can also add a little orange or lemon zest to give it a fruity, floral taste which pairs perfectly with the honey syrup. If you are celebrating today, Happy Easter. We have four egg hunts down, and giant baskets/boxes of treats and love from MiniMac's Grandma and Grammy to enjoy. Gorgeous weather to boot! Of course, we continue the message to our child Easter is not about the eggs and bunnies. We are blessed and lucky in so many ways and today is another day to remember this. 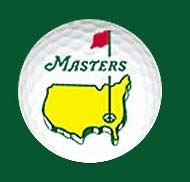 We have very little on the schedule today except the gym, The Masters and family over later. So as we sip coffee and tea this am and tuck in for a peaceful morning, I am making something decadent. Breakfast Bread Pudding? Oui! This recipe is from Barefoot Contessa who can make any meal into something special. Have a gorgeous Sunday. From my kitchen to yours, enjoy every bite. In a medium bowl, whisk together the whole eggs, egg yolks, half-and-half, honey, vanilla, orange zest, and salt. Set aside. Slice the brioche loaf into 6 (1-inch) thick pieces. Lay half brioche slices flat in a 9 by 14 by 2-inch oval baking dish. If including raisins, spread on top of the brioche slices, and place the remaining slices on top. Make sure that the raisins are between the layers of brioche or they will burn while baking. Pour the egg mixture over the bread and allow to soak for 15 minutes, pressing down gently. Bake for 55 to 60 minutes or until the pudding puffs up and the custard is set. Remove from the oven and cool slightly before serving. For you golf aficianodos, you know this is one of the four majors and the only time of year I am allowed to step foot in the place. Those old Southern gentlemen running the place certainly like their rules. No cell phones allowed on property. Period. And pimiento cheese sandwiches by the truckload. But it is going to be amazing. And getting tickets, well, it would be easier to plan to see a unicorn. As luck would have it, we are in. Have a gorgeous day! I know we will.